William BULLARD (1562 – 1610) was Alex’s 12th Grandfather; one of 8,192 in this generation of the Shaw line. William Bullard (Bulleward, Buller) was born about 1562 in Saint Martin Barnham, Suffolk, England. His parents were Henry BULLARD and Margaret [__?__]. He married Grace BIGNETT 2 Jul 1587 in St. Martin’s Barnham, Suffolk, England. William left a will on 16 May 1610 in Barnham, Suffolk, England. His estate was probated on 18 Jun 1610 in Barnham, Suffolk, England. Until after the Reformation, Barnham was two parishes, and had two parish churches. This is because it stands on the spot where the Liberty of St Edmund and the Liberty of Thetford met, and there was a Barnham in each. Blatchly & Northeast (1975) tell us that the two parishes were consolidated in 1639, and the bells sold off in 1682. For the next few centuries it was used as an animal shelter, presumably for pigs. The raised garden suggests that there are foundations just below the surface. The photographer had tried to find it on a rain-swept stop-off on the way to Thetford, but could not. He came back with someone more tenacious; drove around the small village looking in back gardens, and eventually spotted it. 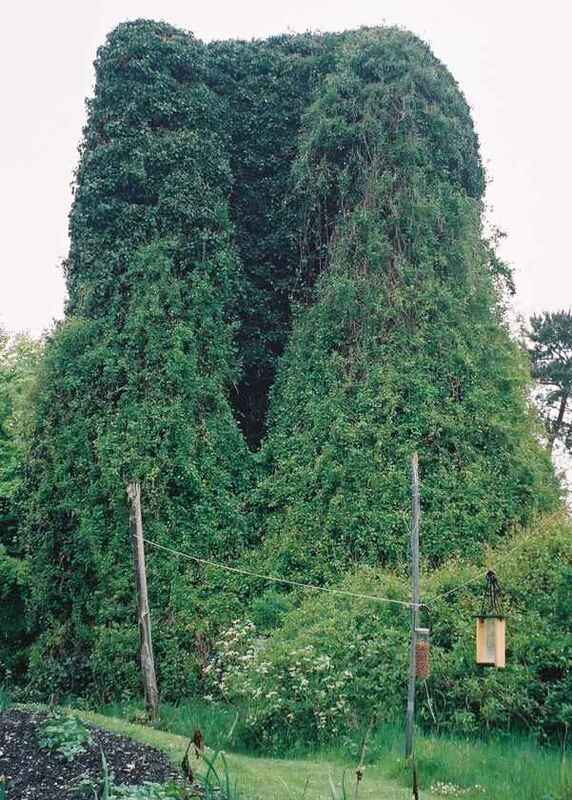 Completely encased as it is in a coat of ivy and honeysuckle, set back from the road and hedged into a garden, it was easy to see how it had been missed before. He knocked on the cottage door to ask if he could go and photograph it, Permission granted, but in all honesty there isn’t a lot to see. Grace Bignett was baptized 8 Jun 1567 in Hoxne, Suffolk, England. Her parents were William BIGNETT and Margaret [__?__]. Grace’s will was proved 8 Feb 1630 in Barnham St Martin, Suffolk, England. The area around the village is of archaeological note as the find-spot of the Hoxne Hoard of Roman treasure, very early finds of hand axes and as the type site for the Hoxnian Stage (“Hoxnian interglacial”). The Swann Inn in Hoxne dates from before Grace's time. I don't know if she got to go, but perhaps William BIGNETT downed a pint or two. Hoxne village is also home to The Swan Inn. The Swan occupies a 15th Century, Grade II listed lodge, formerly known as Bishops Lodge. This pub is set at the bottom end of the village green, opposite the village Post Office and grocery store, only a short walk from Saint Edmund’s memorial and bridge. 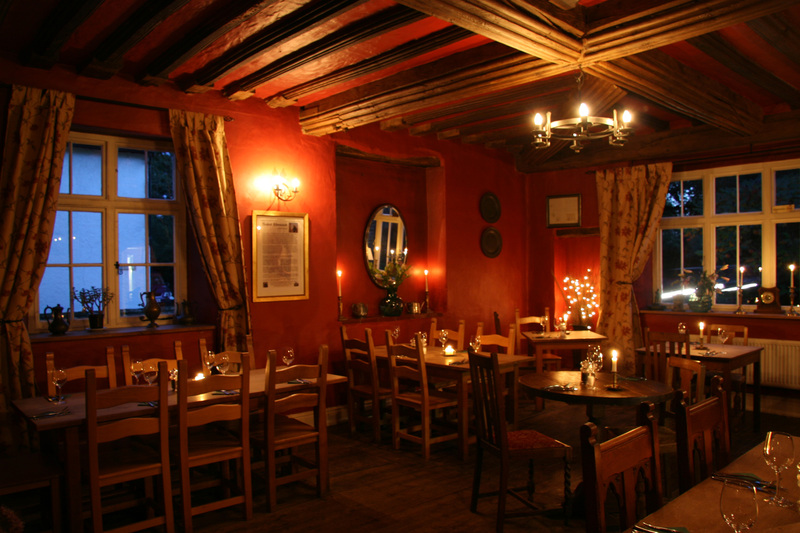 Built in 1480 by the Bishop of Norwich, The Swan has a long history; both the restaurant and bars reflect Hoxne’s ecclesiastical past, with ornate ceiling beams and wide-planked floors. William Bullard served in 1599 in St. Martin’s, Barnham, Suffolk, England, as a Churchwarden. William’s first wife Mary Tracy was born 1630 in Plymouth, Plymouth, Mass. Her parents were Stephen Tracy and Tryphosa Lee. Mary died 1655 in Norwich, New London, CT.
William’s second wife Mary [__?__] was born about 1617 in Kenilworth, Warwickshire, England. She first married Francis GRISWOLD before 1637. After Francis died in 1652, she married William Bullard on 4 Jan 1653/54 in Cambridge, Middlesex , Massachusetts. Mary died in 1685 in Cambridge, Mass. 1638 – Robert immigrated to Massachusetts Bay Colony. 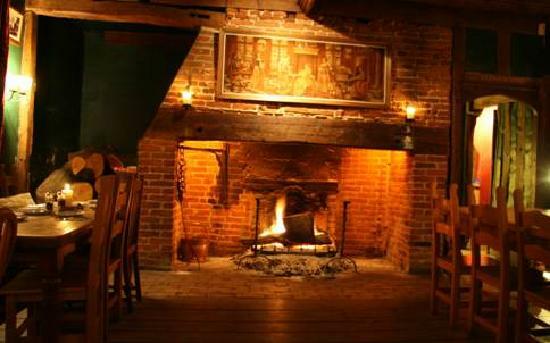 13 Dec 1639 – He was admitted to the Dedham church ; removed to Charlestown, where he was also a proprietor. John’s first wife Magdalene Martyn was born 29 Jan 1607 in Barnham, Suffolk, England. She was Anne’s sister and her parents were John MARTYN and Agnes [__?__]. Alternatively, her maiden was George. Magdalene died 29 Jan 1661 in Medfield, Norfolk, Mass. 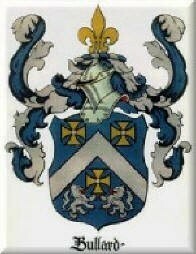 John’s second wife Eleanor Ellen Whittington was born 1601 in Amersham, Buckinghamshire, England. Her parents were John Whittington and Margaret Hill. She first married 20 Oct 1631 in Malden, Middlesex, Mass. to Thomas Dickerman (b. 1597 in England – d. 11 Jun 1657 in Dorchester, Suffolk, Mass.) Eleanor died 10 May 1671 in Dorchester, Suffolk, Mass. John Bullard settled first at Watertown, Massachusetts, in 1636. John married Anne’s sister, Magdalene and they also emigrated to Watertown about the same time where he was a proprietor in 1638, and with his wife, Magdalene, was admitted to the church 2 May 1639. He took the freemen’s oath 13 May 1640. With his brother William, he became a proprietor of the settlement at Dedham, when the company of Watertown church members established themselves there. His dismissal from the church at Watertown to the one at Dedham, was dated May 30, 1641, “Mr. Phillips, the pastor, and Elders Carter and Howe, testifying in his favor.” John was a proprietor in 1650 in Medfield, Norfolk, Mass. In 1675, he is on the list of subscribers to the fund for the “new brick college” (Harvard), his contribution to be a bushel and a half of “Indian corn.”. John died at Medfield, 27 Oct 1678. George Bullard, of Watertown, born in England in 1608, died 14 Jan 1688/89, married Margaret, who died 8 Feb 1639/40 (second), 30 Apr 1655, Widow Mary Maplehead. George Bullard became a freeman on 2 June 1641 in Watertown, Middlesex, Mass. George Bullard deposed in 1658 in Watertown, Middlesex County, Massachusetts, giving his age as 50 years. This entry was posted in 14th Generation, Historical Church, Historical Site, Line - Shaw and tagged Dedham - Pioneer. Bookmark the permalink.